I'm a strong believer in quality images that evoke a positive response from the viewer. Sometimes a straight photograph of a subject could be enhanced by using a special technique that improves the intended response. Sometimes you're just looking for something fresh. I will be happy to discuss your needs and possible solutions at an affordable cost that won't break your budget. Today's photograph can be manipulated in a 1000 different ways, but it all begins with a quality image that tells a story or presents an idea. Our talented staff has years of experience that dates back long before the age of digital images. Our services include product photography, travel images, 360 degree panoramic images, and dynamic fine art photographs suitable for framing. If you have a project requiring photography, please contact us to discuss the particulars. We specialize in architectural, travel and tourism photography, but also handle portraits, animals, and special sporting events. Digital high definition videography is no longer an unaffordable option. 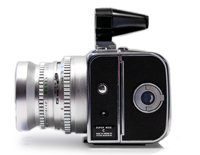 Today's professional video cameras have narrowed the gap between high-end video / film equipment and professional equipment that creates high quality footage that can be used almost anywhere. Whether you need just a creative editing of existing video that you already own, or need completely new footage, we can help. Image manipulation is sometimes required to give a different look or impression than what was recorded by the camera. In portraiture this could be as minute as just removing a blemish on the skin. It could be as extensive as restoring a damaged historic photograph or giving the image a completely different look such as converting it to what appears to be a oil painting. The point is that there a 100s of different ways of presenting digital images that will give your presentation a unique look. 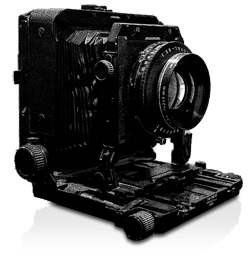 Professional Photographers of America (PPA) is the world's largest nonprofit association for professional photographers, with 24,000 members in 54 countries. This association seeks to increase its members' business savvy as well as broaden their creative scope, advancing careers by providing all the tools for success... as they have since 1869. Almost all of today's digital images are processed through Adobe's Photoshop program. We go through extensive training every year to keep up on the latest trends, methods and software so that images we create are ideally suited for their intended purpose, using the most advanced technology available. One of those training sources is through the National Association of Photoshop Professionals. This organization not only offers extensive training opportunities, it also provides as an association, the outlet to meet other professionals from across the country during annual conventions.